Call to Get a Free Estimate on Plumbing Services! 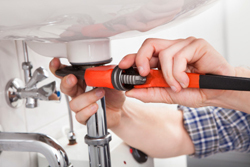 If you have to call upon a plumber for plumbing repair and maintenance services, you might as well call upon a reliable, trustworthy plumber who can handle all the plumbing services you need at an affordable price. Atta-Boy Plumbing, LLC serves the Greater Charleston, SC area with affordable plumbing services from an honest, experienced team of experts. No one wants to deal with a plumbing issue, but they are all too common. With the number of pipes running behind your walls and under your floors, it’s easy for something to go wrong. Homeowners need someone to turn to when the toilet won’t flush, the hot water turns cold, or the drains start backing up. Fortunately, Atta-Boy Plumbing, LLC can handle all these problems and more. Trust our Better Business Bureau-accredited plumbing service. Toilets have moving parts that tend to wear out or break over time. 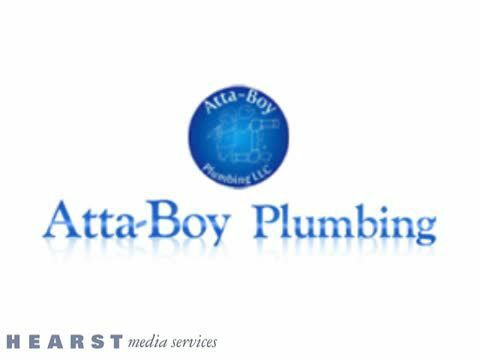 If you are experiencing problems with your toilet in the Charleston, SC area, then you should contact the plumbers at Atta-Boy Plumbing, LLC. When you call us for toilet repair services, we will send a licensed technician to look into the problem. Once the root of the problem is identified, it is our goal to complete the toilet repairs quickly and efficiently. From minor to complex issues, we can handle all your plumbing needs. 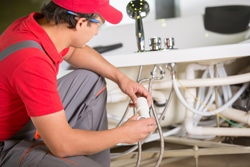 We offer affordable plumbing installation, repair, and replacement services. We serve residential and commercial clients in Charleston, SC and the surrounding areas. 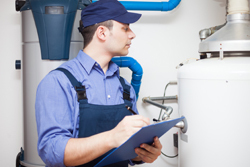 Our services include water heater repairs, toilet repairs, leak inspection and repairs, and more. If you need the services of experts to help you with toilet repairs, you can always count on us. Get in touch with us today for more information about our services. Our work is available mainly for residential customers. We handle plumbing repairs and installations and can also help with remodeling projects by taking care of all the plumbing work that needs to be done. We specialize in general plumbing services, installations and repairs. Call our plumbing contractors to install a toilet, sink, faucet, or bathtub. We can provide expert installations for all these fixtures and more, as well as handle all the repairs they’ll need over time. Is the water not draining properly in your sink, toilet, or bathtub? Atta-Boy Plumbing, LLC can be called upon to get your water flowing again. We're known as one of the most reliable plumbing companies in Charleston, SC! We can unclog drains and lines that are plugged as well as repair water lines that have leaks. There’s no reason why water should be pouring out onto your floors. Atta-Boy Plumbing, LLC can make sure you’ll never see a leak from your water lines, fixtures, or slabs. If you need piping installed or replaced, our expert plumbing contractors can handle the job for you. We offer expert drain repairs, as well as waste and vent piping. If you need pipes installed, moved, repaired, or replaced, Atta-Boy is the team to trust. “Again, I cannot say enough about the outstanding service provided by Atta-Boy Plumbing. His response time was, AS ALWAYS, immediate. As soon as we let Rodney know that we were ready for the tie-in, he immediately fit us in to his schedule. Not only did he complete tie-in, but also addressed a running toilet issue. With Atta-Boy's quality of work, professionalism, knowledge, courtesy, and outstanding pricing, we will never call anyone else for any plumbing services!” – Cherie L.
“Awesome service! Rodney and his crew were polite, personable, and professional. Also considerate - they didn't make a mess, and what little was made under the sink, they cleaned up before they left!” – Catherine K.
The experts at Atta-Boy Plumbing, LLC can provide a free estimate on any service. Just give us a call and we’d be happy to help. We serve customers all over the Charleston, SC area. Ask about the one-year warranty we offer on parts and labor, as well as special prices on service calls. When the plumbing systems in your home have gotten backed up or broken, trust the job to one of the best plumbing companies around - a company that puts your needs above all else. Contact Atta-Boy Plumbing, LLC and schedule your appointment today.